Alternative: The 32-bit ODBC manager can be found at C:\windows\sysWOW64\odbcad32.exe. Solution 2: Your Administrator account should have a password. 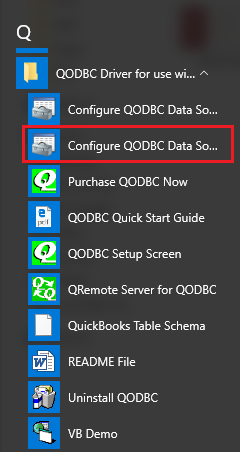 Please set a password for your Administrator Account and try again by Right Clicking on QODBC Setup Screen and select "Run As Administrator"
Start>>All Programs>> QODBC Driver for use with QuickBooks>> Configure QODBC Data Source>>Go To "System DSN" Tab>> select QuickBooks Data>> click "configure">> switch to activate/deactivate>> click "activate"/"deactivate"